After defeating At The Boxoffice, DANGAL Beats Sultan With A Colossal Margin At The WTP. A Massive 16,264 TVTs. Aamir Khan Rules. The Related Post Must Be Deleted As It Is Misleading. Sultan released just 84 days after release. Dangal released around 150 days after release and with Reliance JIO effect. Even in this case Zee TV was never on top for long time. DANGAL Was Still Going Strong In Theatres On Its 84th Day. Haha. Where are those people who were saying Dangal is not even in top 5? Universally acclaimed Bajarangi failed to cross Pk(reason south film Bahubali) lol. look this christmas atleast in India had no extra holiday. Both were on sundays, Talaash is a rare under performer just like jai ho for Salman. Still talaash did 48cr weekend huge at that time for the genre talaash is!. Underperformers? On A Fairer Scale, PK Got TRP Of 6.7 Compared To Bajrangi Bhaijaan's 6.8 & Prem Ratan Too Whereabout. 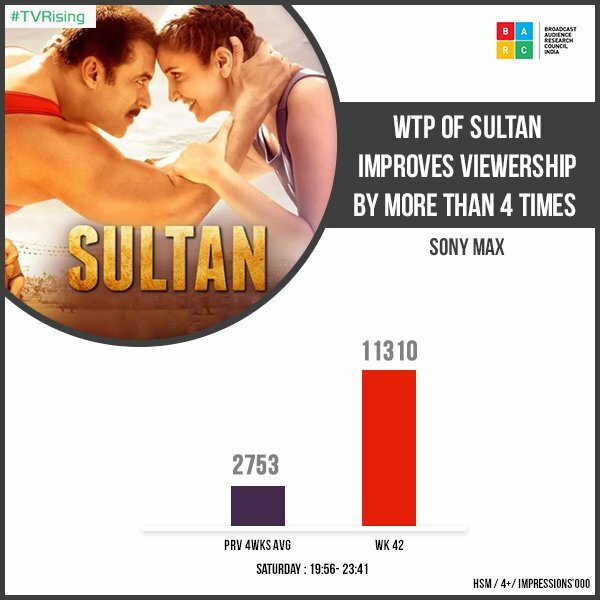 And Zee TV Is Even Worse For WTPs In Addition To That Noon Timings. 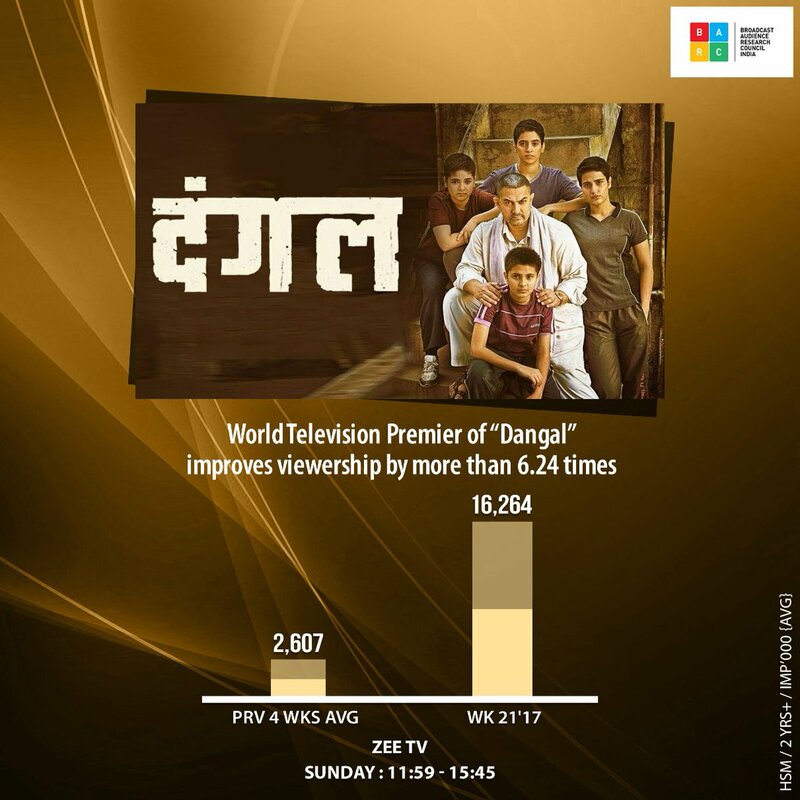 DANGAL, On Saturday Night Could Have Easily Gone Beyond 2.5Crore Views. Either Way! I Love Excuses. World Television Premiere of Megastar Salman Khan starrer Race 3 on 26th Jan 2019 at 9pm. Only film of his to see WTP 7 months after release. Small actor like Vinay pathak(bheja fry) beats Salman khan(marigold) in 2007 at boxoffice?this will never happen with other superstars.agree?